Our custom fundraising and goal thermometers are great for feedback about donations used, information about your progress or whether you’ve achieved your goals. 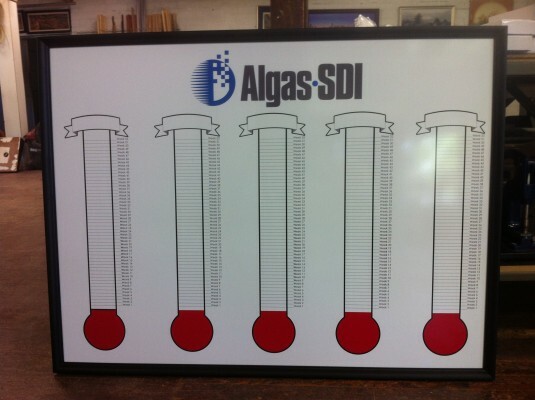 Used appropriately, Our goal thermometers are a quick and easy visual marker of where you stand. Click Image Above for a Quote!